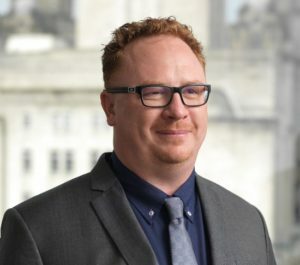 Leif Nelson is Chief Operational Officer and Senior VP for Seadrill. What do you see for the offshore drilling market in 2019? We still see the industry being very constrained and very conservative. The good news is we are starting to see some tendering activity, mostly for work starting in late 2019 through 2021 or 2022. We also see some operators trying to take long-term advantage of today’s pricing, which is another good indicator. However, I think the industry will continue to be very challenged for the next two to three years. There’s still too much oversupply, particularly in deepwater but also in the jackup market. It will likely be a few more years before we’ll really see healthy pricing levels return to the market. 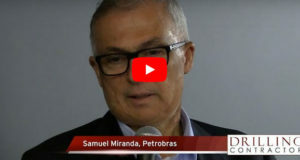 Seadrill announced in July 2018 that the company had emerged from Chapter 11. 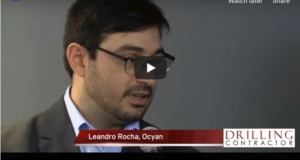 What will be the company’s major considerations and goals in 2019 and beyond? 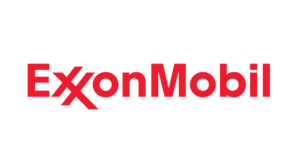 Leif Nelson, Chief Operational Officer and Senior VP, Seadrill. First and foremost, it’s to keep our current working fleet up and running. We’ll also continue to look at reactivation of rigs where it makes economic sense. What we don’t want to do is reactivate rigs for short-term contracts, which is a very costly exercise. We strategically focus on where we think we can get longer-term jobs to either renew the existing fleet or reactivate rigs. What types of contract durations are needed to make reactivations economic? It’s not just about the length of the contract but also the dayrate. Today’s dayrates only cover the OPEX side of the equation; they don’t look after our cost of capital or help to pay down debts. We have to be a smarter industry and think about the total cost of ownership. In which markets do you see the most potential for long-term work? For jackups, it’s definitely the Middle East, but we’re also focusing on the North Sea harsh-environment market, which is on its way to recovery. 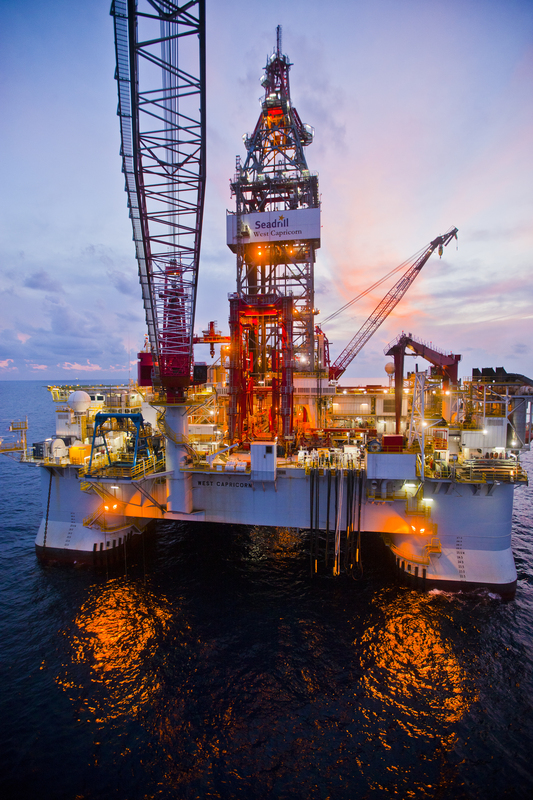 The deepwater market is more fragmented, but the Gulf of Mexico – both on the US and the Mexico sides – have quite a bit of tendering activity going on. We’ll have to wait and see where that goes. 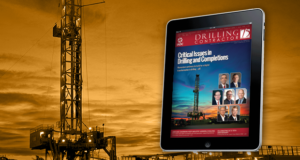 What are the most critical challenges facing the offshore drilling industry? In the short term, it’s definitely around market recovery. We need to see further consolidation in the industry. The fewer players involved, the more rational pricing will become. More consolidation will likely happen over the next 18 months to two years. Hopefully that will lead to better control of the supply and then better utilization and, eventually, better pricing. In the medium term, attracting a younger workforce is a big challenge for the industry as a whole. While the average age of Seadrill’s employees is under 40, that’s not true for a lot of our peers. Finding new talent and attracting them to the industry will be a big hurdle. We need to start planning now for tomorrow. How do we bring in new talent? How do we train them up faster and adapt to their way of thinking and learning? We have to confront these challenges so that we can leverage for the future. What types of skills should we be looking for as we recruit the next generation? If you focus around the driller and the rig floor, we need drillers who have a better understanding of downhole drilling engineering principles and properties. We need them to be less like equipment operators and more well-rounded in the mechanics of drilling the well. At Seadrill, we are already looking around the world for places where we can find a better educated workforce who still finds offshore oil and gas to be attractive. There’s going to be a generational change in the profile of the driller. Can the industry afford to recruit right now given the state of the market and economics? 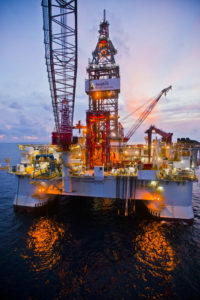 The West Capricorn is drilling for BP in the Gulf of Mexico. 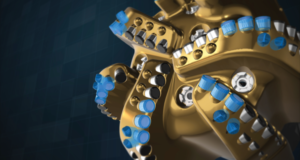 Dual-activity rigs are like factories and should be used that way, Seadrill believes. In order to maximize the benefits that can be gained from these sophisticated rigs, operators must think about planning and logistics and perhaps bring certain things to the rig site earlier than what has been done historically. We need to be smarter about where we spend our money, and we need to be planning for the future. I have 20 rigs that I need to put back to work, and I need drillers. We are working today to find the drillers of tomorrow and figure out the best and most effective way to train them. Are we getting to a point where the driller of the future will need to have some sort of an engineering degree? Not necessarily an engineering degree, but we need a generation that thinks differently and has a different education profile. It could be the technical college level where they understand business processes, workflows and human-machine interfaces. 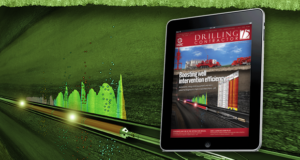 How is this need for new skillsets changing the way that Seadrill trains its drillers? For the last few years we’ve been running in-house AD-to-driller courses. 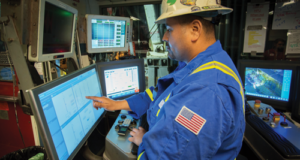 They cover everything from the driller’s technical capabilities to testing their competency in simulators to introducing behavioral management and leadership skillsets. We want to develop not just the technical skills of these individuals but also their managerial skills. We recognize that they’ll be managing a crew of people, and our training needs to equip them with the necessary soft skills. Where do you see the industry going next in terms of performance? 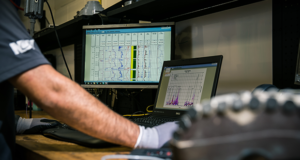 We still have a lot of room to go on performance, especially when we think about human performance and understanding how they’re operating our machines and utilizing our technologies. We see that with the younger generation, the current group of drillers in Seadrill, they’re competitive by nature. They like to know how they perform against their peers. As we unlock our machine data and give them real-time analytics, they can see how they perform against their peers. What’s important to the company is that we learn. If we understand how different people operate equipment differently, we can start to close the gap between different drillers and crews. We can look at what training we need to provide to a person to close the gap. The goal is to have all of our drillers working at the same level of peak performance. I think that’s going to get easier with the digital journey that Seadrill and some of our peers have embarked on. We’ll be able to provide more and more real-time transformational data about how people are performing and be able to give them recommendations on how to improve. On the equipment side, I think operators are still just scratching the surface in terms of actualizing what dual-activity rigs can do. They are starting to realize that dual-activity rigs are like factories, and they should use them that way. You have to feed them with equipment, and you have to think about planning and logistics. Sometimes they may have to bring certain things to the rig site in advance of what they have done historically, so that we can maximize use of the equipment and drive down the critical path. We’ve come a long way already, but there’s still lots that can be done. When you provide feedback to your drillers on performance, how do they typically respond to it? We’ve been introducing the concept over the last year at our AD-to-driller development courses, and the feedback from the guys has been, “We appreciate this. It’s about time.” They appreciate having real, tangible results to work with, not just anecdotal comments. They like having facts on the table from which they can learn and compare against their peers. It’s also important how the feedback is presented to them. The focus should always be on collaboration and using the feedback to raise the overall performance of all drillers; it’s constructive. The data should not be used to beat on underperforming individuals. That creates a very negative atmosphere, and people aren’t going to accept it. How they respond to something like this really comes down to leadership and management. How do you roll it out? How do you communicate the benefits to the individuals? You have to help them see how they can benefit. There have been suggestions that the cost reductions made in this downturn have been about 50% sustainable and the other 50% will fluctuate with market demand. Do you agree with that? I would say it’s at least 50/50. At Seadrill specifically, it’s closer to 70/30, sustainable versus inflationary. There will be challenges over the next few years. But even so, there will be opportunities for us to continue to be efficient, for example, in terms of where and how we recruit and staff. If you look at our operations in Brazil and Africa, we run somewhere between 70% to 90% of local crews. We have local employees who are senior management onboard up to OIMs and toolpushers. 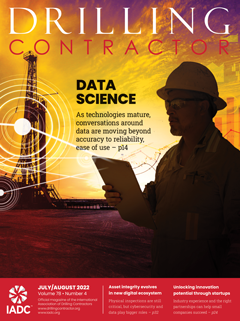 What would you like to see operators do more of or differently to help drilling contractors improve overall efficiency? The first thing that comes to mind is more consistent planning across their projects using standardized equipment. The second is doing earlier advanced planning so they can get more out of the drilling rigs. Like I mentioned earlier, use them as factories. By integrating with us and bringing us to the table in the early days of planning and designing a well, they can more fully understand what equipment is available to them and how they can use the equipment to reduce the total time to drill the well. 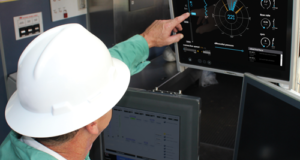 Seadrill has developed a big data system called Plato that we are sharing with our operators. It’s helping us to collaborate with them, both in real time and by using historical rig performance data that they can build into their well designs. What are the barriers to bringing in drilling contractors, say, before the tender process? You really have to prioritize having business partners instead of having everybody compete on rock-bottom prices. I think you can still get market rates if you bring on business partners early in the process and let them help you plan and be more efficient. We’re not going to charge a premium for that. That’s a challenge around workflow and standard processes already in place. I will say that the downturn has made it easier to forge stronger relationships between contractors and operators. That has often made it easier to sit down and discuss challenges and opportunities. 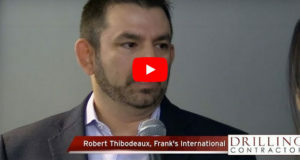 We’re also seeing a few operators who are really starting to think differently, not only about how they run their business but also how they can get better performance if they bring in drilling contractors upfront. They’re also becoming more willing to let drilling contractors manage the HSE of the vessel and support us in our efforts. 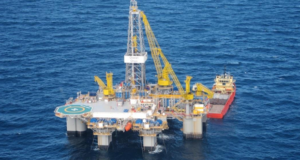 On a Seadrill vessel, it should be the Seadrill safety management system. We’re starting to see some operators really understand that now. Does that have to do with operators looking for drilling contractors to take on a more integrated role at the well site? They’re definitely asking us to take on additional services, including casing running, cementing, ROV and some logistics. In some scenarios, we also provide boats and helicopters. What about taking on the provision and operation of MPD technologies and equipment? It is becoming a larger part of the scope. 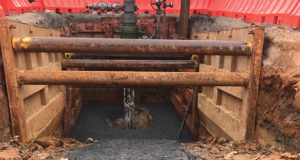 More operators are starting to think about what MPD brings to the table and how it can be used other than just managing the pore pressure/frac gradient. They’re looking at how it can be used to drive down their costs and be more efficient. Seadrill is taking on MPD technologies onboard, and we’re starting to own it as drilling contractors. This is going to change the business model going forward. We own it, we operate it. Today we have five MPD-capable vessels – four drillships and one semisubmersible. The first two were driven by contract opportunities, but the subsequent three were purely decisions by Seadrill that this was going to change the way we work in the industry. You mentioned the need for more consolidation. Is that part of the solution to the oversupply challenge? Consolidation would lead to better pricing, but there also needs to be continued scrapping. Seadrill is a bit different because we have a very young and modern fleet. The average age for our 51 rigs is under 10 years old. 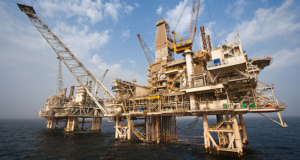 But in many parts of the industry, there are still a lot of older assets, especially mid-water semisubmersibles or second- or third-generation harsh-environment rigs. I also hope we start to see more of the older jackups be retired soon. More than 50% of the world’s jackup fleet is still greater than 25 or 30 years old. Do operators really favor the newer rigs in today’s market? They do. In fact, we see certain operators starting to change their tendering specifications to require a certain generation of rig, or they’re putting in a weighting factor based on the capabilities of the rig. The outcome of their tenders are typically more weighted toward newer-generation rigs. What additional opportunities for change do you see for the future? We have a system called Seadrill Solutions, which is helping us to look at alternative technologies, different ways of working, integrated services, MPD, big data. The industry is behind when it comes to innovation and the digital revolution. We need to find ways to work smarter. Would this kind of effort be led by drilling contractors or will it be driven by contractual demands from operators? Today it’s not coming from contractual requirements, and I hope it stays that way. Rather than be mandated to, I would like our industry to show some ingenuity and leadership, and then collaborate with our customers instead of having our customers tell us what they want. When you do the innovating in house, it will add efficiency quicker and more cost effectively. If it comes the other way, it will drive cost up and be more burdensome. Where will Seadrill be looking in terms of rig upgrades in the near future? 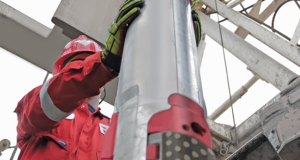 In the current market, we’re focused on managed pressure drilling solutions, as we talked about earlier. Beyond that, we’re also investing in a host of automation technologies for the rig floor. For some of our sixth-generation semisubmersibles, we’re also looking at installing mooring systems so they can work in the mid-water. 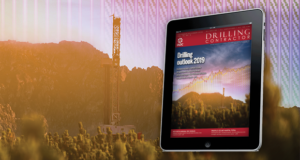 We think that market is still being served by a lot of second- and third-generation single-activity rigs, so being able to bring our offline capabilities and drilling efficiencies to the mid-water market will be a big plus. Beyond that, as I’ve mentioned, we’re also looking very heavily at digitalization and big data. In particular, it’s really going to make a big difference in terms of the way we do maintenance and getting away from the legacy calendar-based approach. Sometimes this can be a challenging discussion with operators, so we have to really prove the value. We’re now working with some of our close customers to show them how we want to do it and get them on board. You spoke at the 2018 IADC Drilling HSE&T Europe Conference in which you urged the industry not to compete on safety. How do we go about changing that?